Since 2012, APOPO has been working under the umbrella of its partner Norwegian People’s Aid (NPA), one of the leading humanitarian mine clearance operators in Angola and around the world. NPA has been surveying and clearing minefields in Angola since 1995 and has a comprehensive mine action capacity within which APOPO's mine detection rats (MDR) are a highly effective component as a fast and low-cost response. Notably, APOPO completed a minefield in Malele, Zaire province one year in advance due to the highly effective speed of the MDR. The landmine problem in Angola is a legacy of decades of fighting during the war of independence against its former colonial ruler Portugal and the ensuing civil war. In 2002 Angola entered a new era of peace and reconciliation unprecedented in its history. Despite substantial development in its capital Luanda, rural Angola still has vast areas that remain heavily contaminated with landmines, undeveloped, and among the poorest in the world. It is estimated that one fifth of Angola’s population is affected by landmines and explosive remnants of war (ERW). Landmines not only kill and maim innocent people, but also isolate communities from basic needs such as water sources and travel routes, and productive land crucial for growing crops and grazing livestock. To date APOPO’s operations are focused in the northwestern provinces of Malanje, Zaire and Uíge, all of which border the Democratic Republic of Congo. 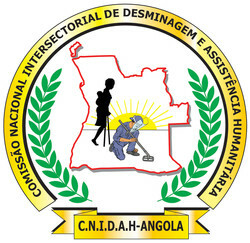 Despite APOPO’s commitment to Angola to help in meeting its objective of becoming mine-free by 2025 in accordance with Article 5 of the Anti-Personnel Mine Ban Convention (APMBC), the current mine clearance capacity country-wide is considerably less than it was just a few years ago. To this end, support and capacity for humanitarian demining in Angola must be ramped-up if Angola is to meet its 2025 deadline. APOPO and NPA have cleared three minefields in Malanje province, in order to allow villages, schools and businesses to expand. These are typical Angolan rural townships that have been boxed in by dangerous minefields, leaving them unable to expand and develop. Likewise, the Malele minefield along the Congo border had been a no-go area for many years but is now a vibrant trading post. In 2017 APOPO began working in Uíge province, where it has cleared two minefields, with a third near completion, and operational planning underway for a fourth task. The cleared areas in Uíge will allow villages to expand in terms of new housing and agricultural areas as well as make way for the construction of a new municipal hospital which will serve the entire municipality of 32,764 people or 6,553 families. In recent years, APOPO carried-out an important study to assess the impact of the mine detection rats (MDR) when used alongside conventional mine action approaches to the detection and disposal of explosive materials on land suspected as hazardous. This study looked at records of site clearance that used both traditional mine action methods as well as the MDR. This exercise was repeated in other countries with and without the MDR to establish a more complete set of data for the study. In June 2016, the Geneva International Centre for Humanitarian Demining (GICHD) published a report on this study that praised the capabilities of APOPO’s MDR and clearly highlights their advantage over conventional methods in certain operational settings. Read the full report. APOPO’s work in Angola has impacted tens of thousands of lives and allowed hundreds of people to return home and farm their land safely. Development and expansion of villages can now begin because communities feel safe and confident to plan homes, hospitals, schools, small businesses, and infrastructure. APOPO’s current task in Uíge Province is expected complete in the third quarter of 2018, and is located in a high-impact residential and agricultural area near Quitexe village where the community is eager to expand. Together with our valued partner Norwegian People's Aid (NPA), we seek to realize a mine-free Angola by 2025.